The University of Michigan will award Michael M.E. Johns, MD, with an honorary Doctor of Science degree at its winter commencement on Dec. 18 at Crisler Center in Ann Arbor. Johns is Emory executive vice president for health affairs, emeritus, and emeritus president, CEO, and chairman of the board, Emory Healthcare. He currently is a professor in Emory University School of Medicine and holds the inaugural Michael M.E. Johns, M.D. Chair in Health Policy at Rollins School of Public Health. During Johns' tenure as CEO of the Woodruff Health Sciences Center (WHSC) from 1996-2007, he led a comprehensive strategy that positioned the WHSC as one of the nation's preeminent academic health centers in education, research and patient care. He initiated the drive that resulted in National Cancer Institute Cancer Center Designation for the Winship Cancer Institute. Johns is internationally recognized for the administrative leadership and vision he brings to large, complex health care organizations. The University of Michigan alumnus, a respected surgeon specializing in head and neck cancers, is also an innovator in medical education and a champion of health care system reform. He has published 195 research papers and other articles and book chapters and co-authored "Predictive Health: How We Can Reinvent Medicine to Extend Our Best Years." Nationally, Johns edited the Archives of Otolaryngology for many years, and this year completes his 24th year on the Journal of the American Medical Association editorial board. 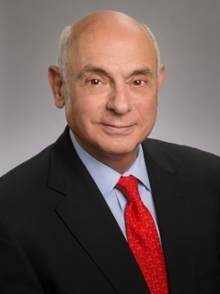 He chaired the American Board of Otolaryngology and Association of American Medical College's Council of Teaching Hospitals, Council of Deans, and Institute for the Improvement of Medical Education advisory board. He is a member of the National Academy of Medicine (formerly the Institute of Medicine – IOM) and has also served as vice chair of the IOM Council, chaired the IOM's committee on resident work hours and patient safety and has served on many other boards. Johns is an American Association for the Advancement of Science fellow and received, among other honors, the U-M Medical Center Alumni Society Distinguished Achievement Award in 2006 and Castle Connelly National Physician of the Year Award for Lifetime Achievement in 2015.